THE lack of a reticulated sewerage system may limit the development potential of several areas within the Shire of Gingin, according to a Department of Planning report. The report said there was potential for subdivision in areas within the Gingin, Guilderton, Lancelin and Ledge Point townsites but some of them required reticulated wastewater systems. “Areas in the Lancelin, Ledge Point and Seabird townsites are the only areas connected to reticulated sewerage in the shire,’’ the report said. A big percentage of homeowners in the Shire of Gingin, which had an estimated population of 5287 in June 2017, do not live in the shire. “The shire recorded a dwelling occupancy rate of 52.3 per cent,’’ the report said. During the decade to 2017, the shire recorded an average annual population growth rate of 1.5 per cent while Western Australia and the Wheatbelt region recorded average annual population growth rates of 2.1 per cent and 0.5 per cent respectively. The 2016 Census showed most of the shire’s residents lived in the localities of Gingin (16 per cent), Lancelin (14 per cent), Gabbadah (13 per cent) and Woodridge (12 per cent). Future residential development areas are proposed in Lancelin (Lancelin South) and Caraban (Moore River South) and together are expected to provide for about 5900 dwellings. “A hypothetical temporal land supply of 103 years (113 years if the stock of vacant lots is included in the supply capacity) has been identified. While the latest WA Tomorrow population forecasts (published in 2015) project an average annual growth rate of 1.5 per cent (2011 to 2026) based on the median (Band C) forecast for the shire it estimates a population of 6060 by 2026. This means the population is only expected to increase by less than 1000 people in the next seven years. 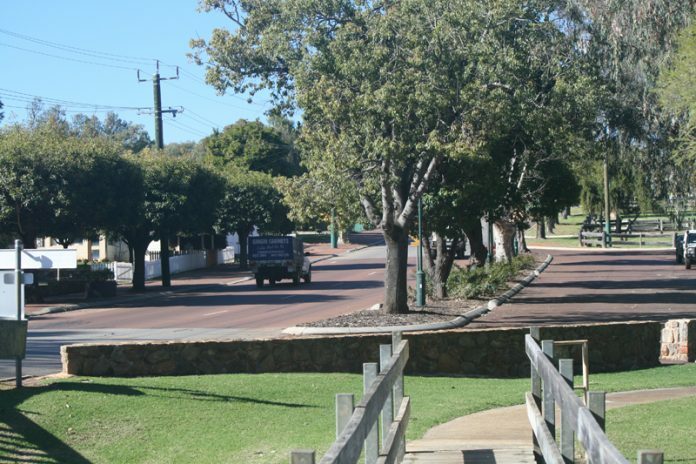 But the Shire of Gingin’s closeness to the fast-developing City of Wanneroo and metropolitan Perth generally may also be a driver for population growth in the long-term. The report said the biggest areas of undeveloped and unrated residential land were in the town of Gingin and the proposed development areas in Lancelin (Lancelin South) and Caraban (Moore River South). About 3620ha of land in the shire is zoned for rural living purposes, of which 53 per cent is developed. Most of the undeveloped stocks of rural living land are in Gabbadah, Karakin and Nilgen. The majority of industrial land in the shire is zoned rural industry and contained within the Frogmore rural industrial area. Commercial activity in the shire is centred on the Lancelin townsite. Those lots in the townsite which are zoned for commercial activity are already largely developed. The local planning strategy also identifies areas in the Gingin, Ledge Point, Guilderton and Seabird townsites as future commercial areas to address the lack of commercially zoned land in the shire. Prepared as part of the Western Australian Planning Commission’s urban development program, regional land supply assessment, the report provides an assessment of the stocks of land available for residential, industrial and commercial purposes and identifies key land use planning and infrastructure provision required to meet demand across the Shire of Gingin.